KATAMARI DAMACY: ReRoll Drops Dec 7! 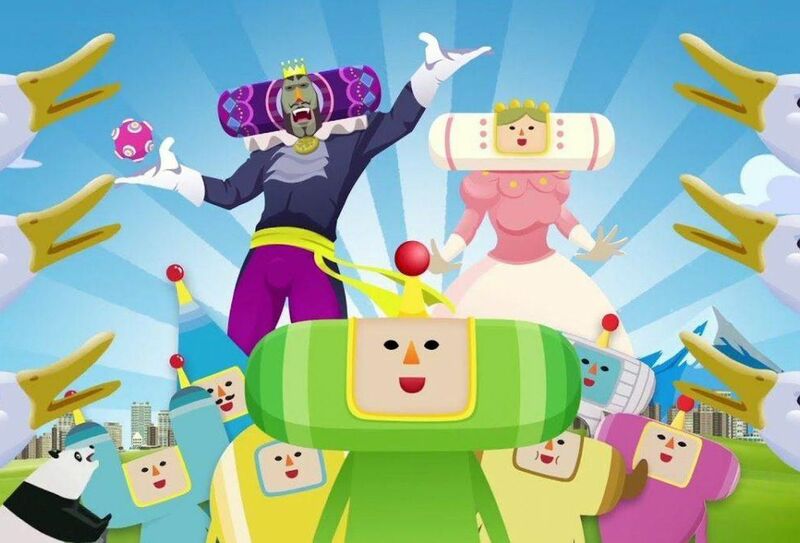 If, like me, you LOVED the candy-colored, nonsense-filled, addictive fluff that was KATAMARI DAMACY, get ready to weep tears of joy for the cosmos: a new HD remaster of the original KATAMARI game, KATAMARI DAMACY: REROLL, is dropping December 7th on Steam and Switch - and REROLL will include a PC version for the first time ever. 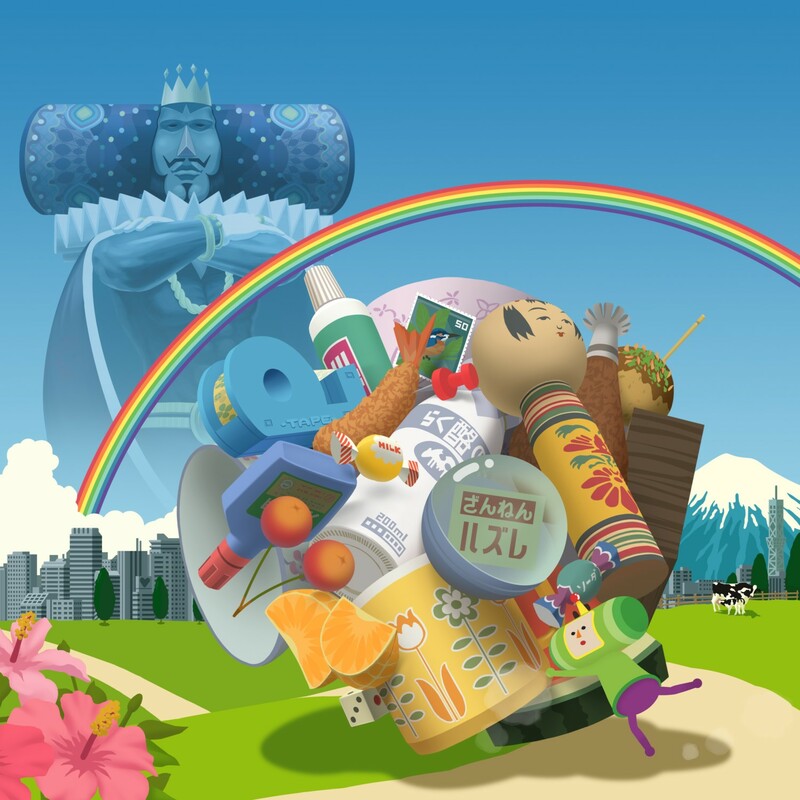 What is KATAMARI DAMACY? Well, okay, here's the premise: You're a Tiny Prince with a hammer head. Your dad, the King of All Cosmos, got drunk and knocked all the stars out of the sky last night. Now he wants you to clean up his mess and find the stars. So he gives you this ball, called a Katamari. It's tiny, like you. But as you roll the ball around, things stick to it, until it gets bigger and bigger. So that's the whole game. Roll stuff up. Get bigger. Roll bigger stuff up. You start out with thumbtacks and paper clips, and eventually you are rolling up cars, houses, the Taj Mahal, clouds, islands... you get the picture. The personality of the King's dialogue is also a big part of the charm of this game, and later versions (I'm looking at you again, BEAUTIFUL KATAMARI) didn't quite get the tone right on that, either - which makes the difference between something that's hilarious and off the wall, and something that makes you feel like you're getting verbally abused by a drunk dad every time you lose. Whoa, Katamari. Not cool. 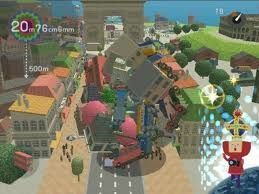 I may have been scarred by BEAUTIFUL KATAMARI. But this is not that! This is full of rainbows and stars! Yay, Katamari! Na Naaaaa, Nanananana Nah, Roni out!